Ever saw a coaching program and thought to yourself - I have to get in on this! What if you could get your dream clients to say the same thing? As soon as they heard what you were offering they knew beyond a doubt that they had to work with you? They had to get their claws into that juicy juicy offer? 1 - Know your ideal client and better yet your dream client in and out. (check out this handy blog post on nailing your ideal client in 3 simple steps here now). To figure this out you need to do the research. Surveys - creating a survey that asks specific questions and a compilation of multiple choice and open ended questions will get you some invaluable information. You can utilize google forms, typeform, survey monkey or any of the other survey tools available. Listen - conduct a listening campaign where you get "down in the trenches" and just listen to what your ideal clients are already saying. Be a part of social media platforms that your ideal clients are in example: Facebook groups are one of the most invaluable sources of information, follow bigger instagram accounts your ideal clients are following and listen to what they're already saying! 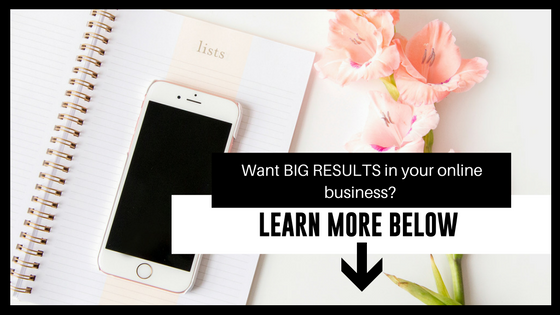 Talk to your ideal clients - offer your ideal clients the opportunity to get some free coaching from you, once on the phone listen to their questions, and concerns and of course coach them! Ask questions - Again: hop on social media and ask questions - then check in for the answers to those questions. 2 - What is the RESULT that you are offering? When creating your coaching package your have to get into the mind of your potential client. What is the result that you will offer in your coaching package? It has to be something they (your ideal client) will want. Make it a tangible result hat your ideal client wants and that you can offer and provide to them with your service. If you aren’t crystal clear about this then see above and do some more research, this alone can make or break your offer. Make your coaching package all about providing that one major result. Not 5 or 50 just ONE! Download the free checklist and perfect your coaching package! 3 - Map out the steps of your coaching package, this isn’t so much for your potential client as it is for you. You need to know this so you actually know what it is you are selling (which makes selling your coaching package much easier) AND you need to know this so you know how long your program will be. What do you need to include in your coaching package for them to get the result that you are promising in your offer? You are the expert - you know how long you need to work with your clients to get them the desired result. How many calls do they need? Do they need additional time for implementation? Wait, did someone say bonuses? I’ve bought many a program for the bonuses… because real talk that’s what bonuses should do… tip your potential client over the edge into paying client land. Yeah your offer may be pretty sweet but what can you do to make it a mind blowingly simple decision? Don’t discount your time, don’t undercharge - over deliver. Win - Win! 5 - Anything else that can take your coaching package to the next level? Some done for you work? What can you do to make this not only an amazing coaching package but a shoe in offer that delivers on value and over delivers on results. Thought I forgot this right? I didn’t but in my mind, pricing really shouldn’t be an issue. Step 1: How many clients do you want to work with? Step 2: How much money do you want to make? Step 3: What is the VALUE of the solution you are providing? Step 4: What feels GOOD to you? Delivery. Now as a coach you pretty much just need to show up with your brain intact and you are good to go but… how will you host your calls? How will you add more value? Worksheets in Canva, Google docs or Pages? Additional videos hosted in membership sites? How will you facilitate results? This might look like a super long list but I promise it really isn’t! At the end what it comes down to is creating what your ideal client wants and delivering what they absolutely need. To help you map out your next offer download the worksheet below and get to work!